Granny Gothards applied to LEADER for the purchase of new equipment to expand production. The new equipment has helped the business to grow and export to new markets such as Dubai and the Far East. 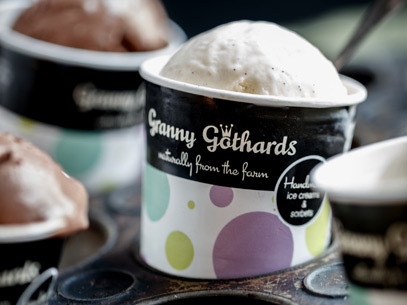 Granny Gothards was awarded the Best Food Product of the Year in the 2016 Somerset Life Food Awards. A new multi-user track is to be created linking Weston-Super-Mare to Brean - this will offer an exciting new leisure opportunity for both residents and tourism visitors. Currently there is no direct link between Weston and Brean which means that visitors have to take to their cars. It is hoped that the trail will create a new active tourism market and draw new visitors to the area for short breaks. 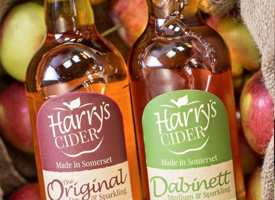 Harry's Cider has been part of the growth in premium brand ciders and, with an increasing number of people buying them, the company identified potential new markets for expansion. As a result they applied to LEADER and were awarded funds to assist with the purchase of new equipment to help their expansion.